What’s it like to watch the film again? 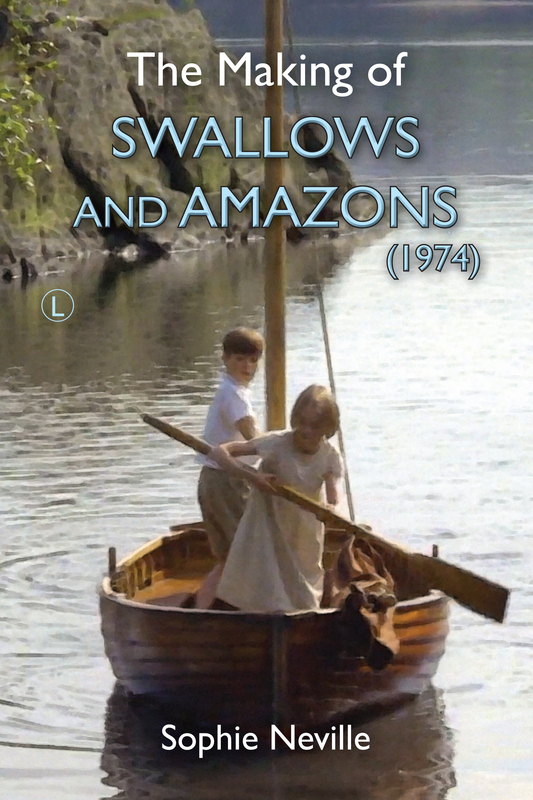 Last Sunday, Suzanna Hamilton and Sten Grendon joined me at the Michael Croft Theatre for a special screening of Richard Pilbrow’s 1974 adaption of ‘Swallows & Amazons’ put on for an audience of excited children by Dulwich Film. We hadn’t watched the movie together since the premiere at the ABC in Shaftesbury Avenue in 1974. I hadn’t even seen Sten since that year. As we walked into the darkened auditorium, Sten’s girlfriend, who struck me as being rather special, insisted that we sat together to watch the film. Blurred memories do come rushing back. I never managed to produce a real owl hoot. Simon could – and I am sure Captain Nancy was adept, but it was all the trying to that brought us together. And as I watched the one thing that really struck me was, ‘How big Landing Place beach was then!’ I found myself leaning over and whispering to Sten that it has all but washed away. He didn’t know that the beach had been especially constructed for the film. It had been kept a secret. Our experience of making the film in 1973 was really quite technical. It was a wet summer and we had something of a battle against the elements to complete the scenes scheduled for each day. Back then, the aim was to capture enough footage to make the equivalent of 4 minutes of film in the final edit. You’d think this would be easy but each frame had to bear scrutiny on the big screen. Since attention to detail was paramount, even making scrambled eggs in front of the camera was a demanding task. As the wind blew north up Coniston Water we joined in the concentration required for the task of film-making. We were in Cumbria to work back then, even if working in the Lake District was something of an adventure, something we did for fun. So when we relax back and watch the film now we have a huge appreciation of what Claude Whatham put together. We laughed out loud, appreciating the humour. Much of this was generated by the serious expression on Roger’s face when he was picking up the why and wherefore of how something worked for the first time. It’s been a rare and ageless form of comedy that children loved forty years ago and evidently still love today. They always notice, ‘the bit when Roger doesn’t realise the cap is on the telescope.’ Adults love the fact that Roger always seems to be eating. Isn’t it funny how well one can remember food? ‘Not so very old, by I was younger then,’ as Virginia McKenna said in the guise of Mrs Walker remembering her days camping in homemade tents. I bet someone asked Arthur Ransome the very same question. I grew taller and had my teeth put straight. Same straggly hair. Sten still has all his thick dark hair and is quite tall himself. He works as a gardener now. Suzanna still has the biggest smile. She is the one who now needs to stand on a camera box but then she is the only one of us who does. What I mean to say is that she is the professional actress. We just turn up for fun. I don’t know. Really, I don’t know. I’d love to see them again but am quietly waiting for them to contact me. I hope they do. I have the first proof of a book to send them – it’s the diary I kept whilst making the film, forty years ago.